What a change it must have been for waterfowl hunters back when decoy manufacturers started creating plastic fakes after hunters had used wood or cork decoys for years. 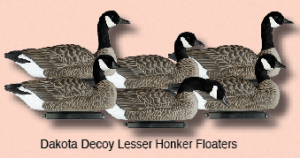 The new plastic decoys were lighter, easier to carry and required less maintenance. 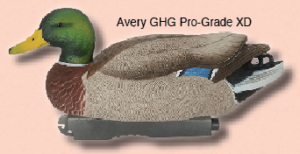 Decoys have come a long way since those first plastic innovations and, believe it or not, they keep getting better year after year. 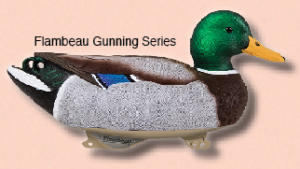 Manufacturers are constantly trying to improve upon their products and give hunters what they really want: realistic decoys that can withstand the rigors of waterfowl hunting. The trend these days is to create decoys based on carvings by world-class decoy carvers. And Granddad, whose flock of a dozen mallard dekes all faced straight ahead, would be astounded by the variety of body positions offered these days. 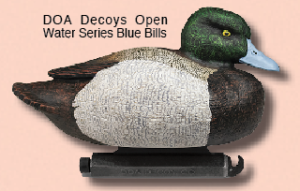 Decoys come in feeders, swimmers, sleepers, high-head and low-head positions. Some heads are even adjustable to ensure endless variety. And today’s decoys are incredibly realistic. Smooth bodies have been replaced with detailed feathering. Generic paint schemes have been improved to the point it looks like a taxidermist took the time to painstakingly paint each decoy for the wall. Hunters may have to do a double-take to determine whether they are looking at decoys or the real thing. Flocking has been around for years, and it continues to add realism while creating a non-glare finish. 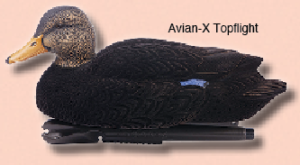 This fuzzy coating is applied to either just the head or the entire body of a decoy. It adds to the cost, but the results look amazing. Realistic paint is great for mantle pieces, but in the field, decoys are pitched into the water, coated with ice, tossed into sacks, stepped on by paws and boots, and spilled out onto boat floors. These paint schemes have to endure a lot of abuse. That’s why decoy makers have now developed specialized coatings to keep their paint from chipping or scratching. In addition, the decoy bodies have to hold up. Some of those old hollow plastic jobs could be crushed when a retriever placed an errant paw on them. Today’s plastic is flexible to withstand tough conditions. Some makers are even adding foam to the inside, which makes the blocks virtually indestructible and unsinkable. Of course, adding motion to your spread helps attract birds from a distance and finish them when they approach. 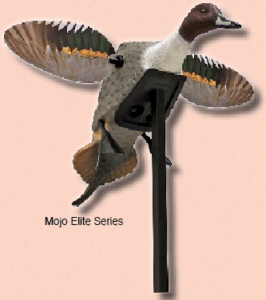 No longer just a novelty, motion decoys are available that swim, bubble, dip and spin their wings. Decoys just keep getting better. Let’s take a look at some of this year’s offerings.